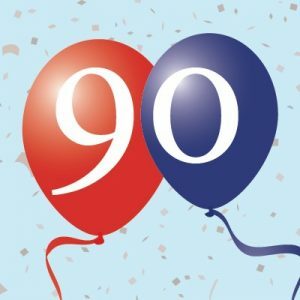 Welbeing, one of the largest providers of telehealthcare solutions in the UK, was looking to carry out some research amongst its customers who turn 90 in 2016, the same year as The Queen, and creatively present the results across its website and social media. Welbeing was unsure where to start and had little time, so they approached PRG for some inspiration. The aim was to compare research highlights focused on independent living with significant events during The Queen’s lifetime so far. In return for their participation, the interviewees would be entered into a free prize draw in which four would win a royal Fortnum & Mason hamper. We started off by reviewing initial questions and discussing content marketing ideas that could be produced within a short time frame. Once the research had been carried out by an independent telephone survey company, Welbeing provided us with the results and we suggested that the most cost effective method to publish the data would be via a creative infographic and a blog as well as infographic snippet images for social sharing. Having reviewed a number of our infographics to date, including our Easter Marketing Timeline and the Cost Saving Returnable Transit Packaging examples, Welbeing agreed that this was a great idea. We adapted the content into a comparison timeline, and our studio created a beautifully stylish timeline infographic focusing on celebrating The Queen’s 90th birthday and the way 90 year olds’ lives have changed over the years (their generation, memories from the past, when they were happiest, etc.). The fun infographic style and theme incorporated a mix of traditional British celebration themes, with bunting, Union Jack flag colours, and family life and values. Within the blog, we included further details from the survey results, with references to research resources. Welbeing was very happy with our first attempt, so we uploaded the infographic and the blog to its website. As with all our blogs for Welbeing, we also provided a number of social media post suggestions, such as which hashtags to use, and who to follow and mention to increase coverage and sharing opportunities throughout The Queen’s birthday celebrations. Do you want to optimise your content marketing campaigns or do you need help producing a creative infographic? Call us on 01323 411044 or email us your enquiry.